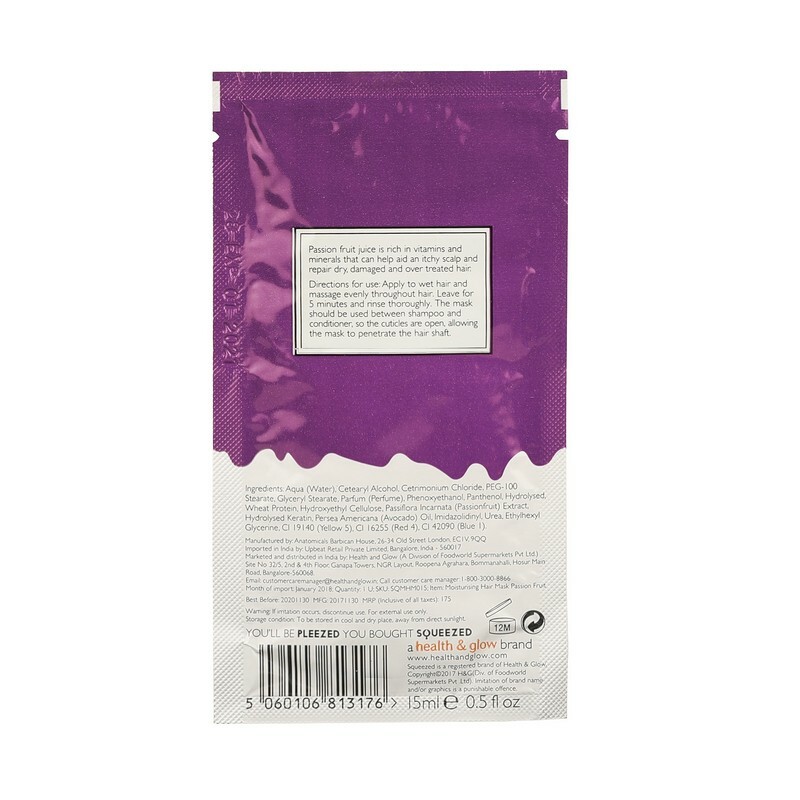 A hair mask containing passion fruit juice and minerals that help repair damaged hair. The natural fruit extract and minerals repair dry hair. Aqua (water), Cetearyl Alcohol, Cetrimonium Chloride, PEG -100 Stearate, Glyceryl Stearate, Perfume, Phenoxyethanol, Panthenol, Hydrolysed, Wheat Protien, Hydroxyethyl Cellose, Passiflora Incarnata (Passion Fruit) Extract, Hydrolysed Keratin, Persea Americana (Avocado) Oil, Imidazolidinyl, Urea, Ethylhexyl Glycerine, CI 19140 (yellow 5), Cl 16255 (Red 4), Cl 42090 (Blue 1).